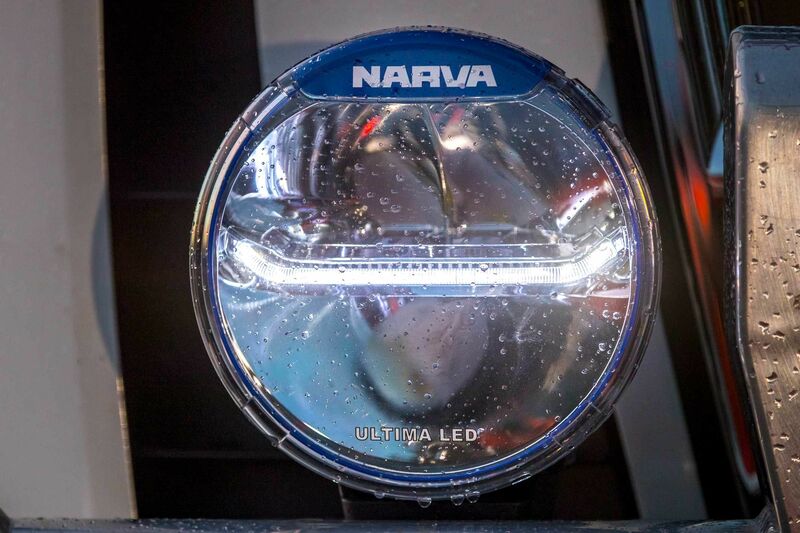 Following the huge success of its recently-launched Ultima 175 L.E.D driving lights, Narva has grown its enhanced optic technology range with the addition of the larger and more powerful Ultima 225 L.E.D lamp to the line-up. 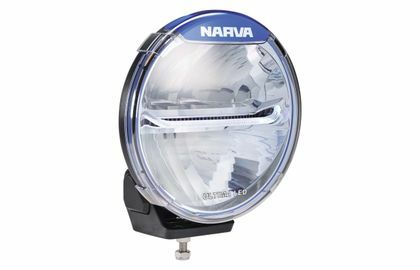 This new release is ideal for fitment to commercial vehicles or passenger four wheel drives equipped with larger bull bars and provides the driver with a powerful and controlled beam that shines a bright white light up to 730 metres down the road at 1 Lux. 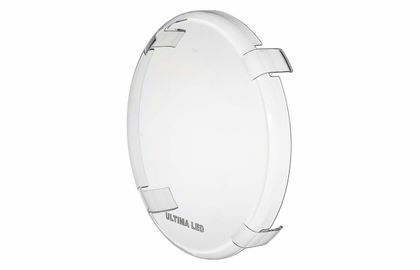 Ultima 225 lamps use a combination of new ‘Optic Drive’ free form reflectors and the latest ‘Cree’ XHP L.E.Ds, to capture and harness the light output and precisely focus it for maximum volume and penetration. Each lamp is equipped with 3x15W XHP50.2 Cree L.E.Ds, producing a powerful 11,400 Raw Lumens (per pair) of bright light at 5000°K and that’s like H.I.D-like output but with full illumination occurring almost instantly. As well as this outright performance, ULTIMA 225 lamps have a high colour rendering index (CRI) of 70 and the higher the index the better the visibility, clarity and depth perception, while glare is reduced. Available in combination, broad and pencil beam patterns, the lamps are ideal for long distance illumination, for both on and off highway applications. Like its more compact 175 stablemate, the Ultima 225 also benefits from an L.E.D front position light pipe which provides additional daytime visibility while complementing the light’s modern and sophisticated European design. 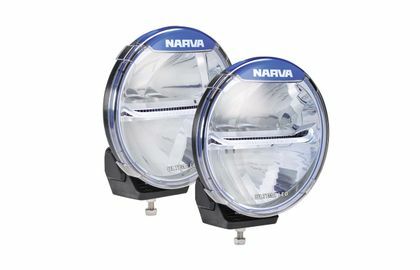 The Narva Ultima driving lamp range has been designed with harsh Australian conditions and demanding applications in mind, so they are fully sealed against water and dust ingress to IP67. The lamps are also equipped with internal heatsink reflector vents and a built-in ‘Active Thermal Management System’ for superior heat dispersion. 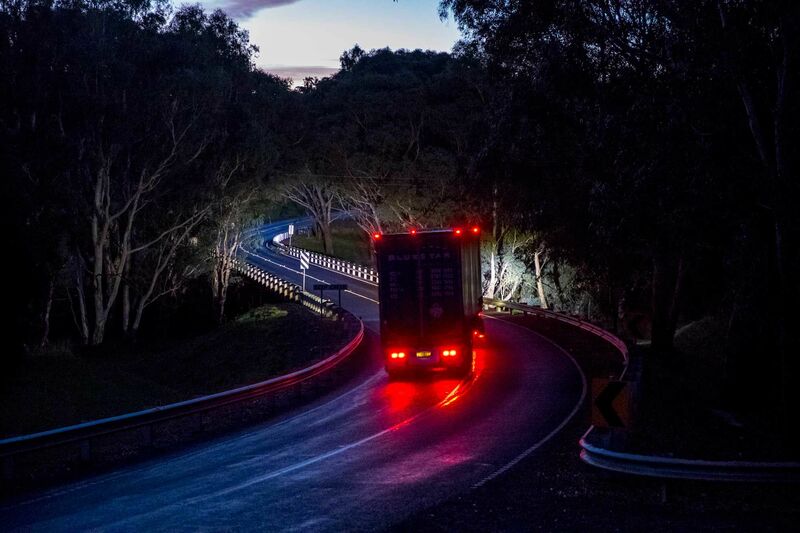 To ensure stable and reliable performance, from a Tasmanian winter to a tropical summer, the ULTIMA 225 lamps are designed to operate in temperatures ranging from -10°C to 65°C, ensuring all climatic conditions are covered. Adding to the ULTIMA 225’s performance and durability is its rugged construction which includes a virtually unbreakable hard coated polycarbonate lens and lens protector designed to resist stone impacts, UV exposure and chemicals. The housing of the lamp is made of extra tough, glass-reinforced polymer with an integrated aluminium crush tube and an integrated DT connector and the 225’s robust design also extends to the mounting hardware which features long-lasting, stainless steel construction along with the convenience of a heavy-duty, multi-position (four positions) mounting bracket. Mounting and adjusting the lamps is made simple thanks to the easily-accessible vertical adjustment bolts which are cleverly concealed by snap-fit bracket caps providing for a professional and secure finish. For easy installation, each lamp kit includes a wiring harness with pre-wired DT connector as well as an additional black glare shield to go with the default blue glare shield, allowing owners to customise the look of the lamps to better suit their vehicle if required. Despite their impressive lighting qualities, the 9-33V Ultima 225 L.E.Ds only draw a modest 4.6A at 12V, so there’s no strain on the vehicle’s electrical system. The impressive new Ultima 225 L.E.D lights made their first public appearance at this year’s Melbourne National 4x4 Show and are now available for purchase from leading automotive, four wheel drive and transportation outlets nationwide. 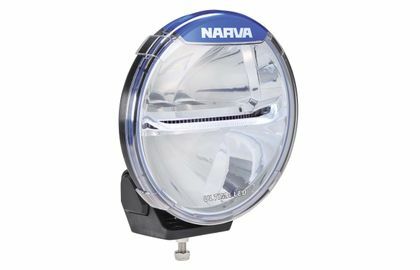 Narva is backing the lamps with a generous 5-year L.E.D warranty. Prospective driving lamp buyers wanting to view the Ultima 225’s performance first hand prior to purchase, should visit Narva’s online virtual reality experience at www.narva.com.au/vrexperience where the lamps are featured.